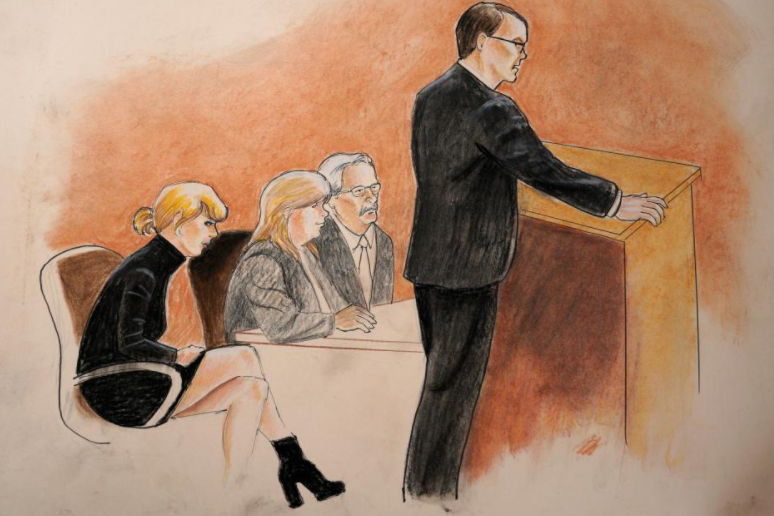 Taylor Swift won her trial against a Colorado radio personality on Monday after a jury found that the former DJ assaulted and battered the pop star by groping her bare bottom, and awarded her the symbolic $1 in damages she had sought. Swift cried and hugged her mother as the verdicts were read in U.S. District Court in Denver and mouthed an emphatic "thank you" to members of the jury as they left the courtroom. The six-woman, two-man jury, which deliberated for less than four hours following a sensational week-long trial, also rejected claims by radio personality David Mueller that members of Swift's management team - her mother and a radio station liaison - got him fired from his "dream job" as a DJ by making false accusations. "I acknowledge the privilege that I benefit from in life, in society and in my ability to shoulder the enormous cost of defending myself in a trial like this," the 27-year-old singer said in a statement released immediately following the verdicts. "My hope is to help those whose voices should also be heard," Swift said, adding that she would make donations to organizations that help sexual assault victims defend themselves. Mueller, 55, showed no reaction as the verdicts were read. The DJ had initiated the litigation after he was fired from his job after the groping claim was reported to the radio station. In his lawsuit he called the groping accusations false, and he sued Swift, her mother, Andrea, and radio station liaison Frank Bell over his termination. During closing statements in the case, Mueller's attorney, Gabriel McFarland, argued that his client was a respected industry veteran who would never have risked his $150,000-per-year radio job by grabbing a major celebrity's rear end. But Swift was firm on the witness stand, saying that there was no question in her mind that Mueller had intentionally slipped his hand under her skirt to clutch her bare bottom. Her attorney, Douglas Baldridge, said during his closing remarks that Swift was seeking only $1 in damages because she had no desire to bankrupt Mueller, but only wanted to send a message. "It means 'no means no' and it tells every woman they will decide what will be tolerated with their body," Baldridge said of the principle Swift was trying to defend. U.S. District Judge William Martinez on Friday dismissed Mueller's accusation against Swift, saying there was no evidence that she had acted improperly. The judge left standing the entertainer's assault and battery countersuit against Mueller. He also left intact a single claim by Mueller accusing Swift's mother and Bell of interfering with his contract and effectively ending his career at radio station KYGO-FM. The jury rejected that claim. Before the trial, Martinez had tossed out Mueller's defamation-of-character claim against Swift, ruling that he had waited too long to file a lawsuit on those grounds.